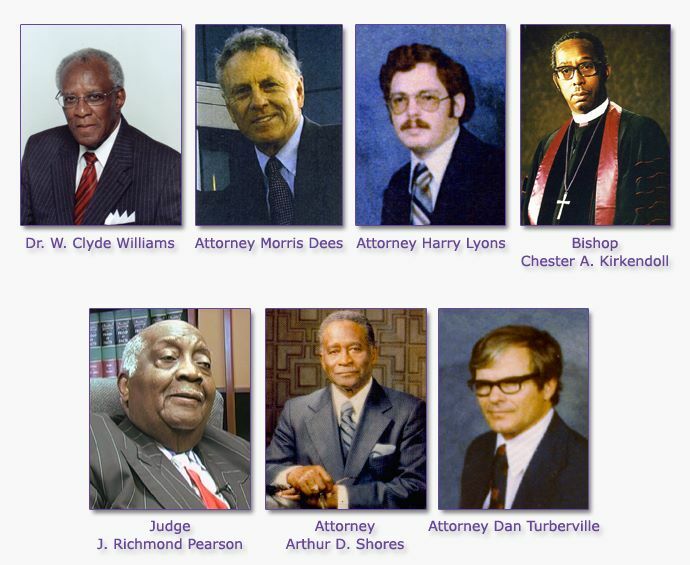 It was out of this reality, concern and desire to change the legal landscape of Alabama that Miles Law School was founded, admitting its first class in August 1974. Before his appointment by President Jimmy Carter in 1980 as the state’s first black federal judge, then-State Senator U.W. Clemon served in an advisory role to the law school. Senator Clemon co-chaired with fellow State Senator J. Richmond Pearson an effort to raise funds for the fledgling school. Judge Clemon currently serves on the law school’s trustee board.